A guide to unlocking all 18 endings in the kitty dating sim, Purrfect Date. 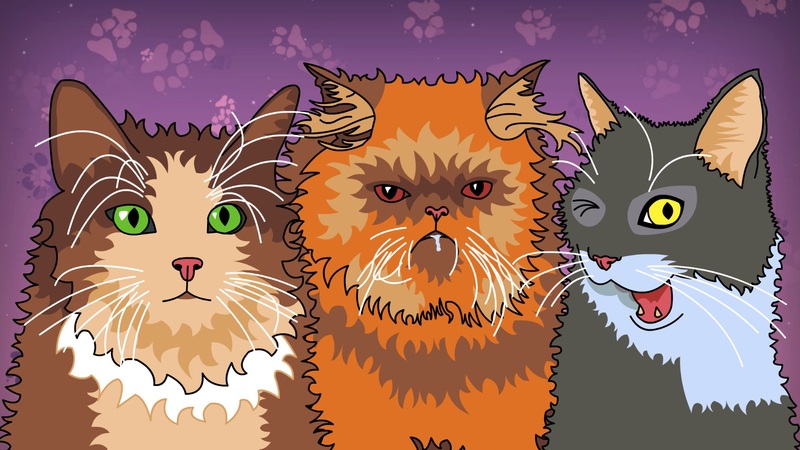 If you recently started playing Purrfect Date on either iOS or Steam, you may find yourself wondering how to unlock all of the game’s 18 different endings. There’s a pretty solid mix of good and bad endings in Purrfect Date depending on the routes you choose, with most of the endings being pretty straightforward to unlock. However, there are a few endings that are harder to unlock than others due to the special conditions you have to follow. If you’re having a hard time unlocking all 18 endings and need a little extra help, you’ve come to the right place. Below, you’ll find a quick guide on how to unlock all 18 endings in Purrfect Date! Below, we'll walk you through the steps needed to unlock all 18 endings in Purrfect Date. Anti-Hero - Any route can be used for the Anti-Hero ending, which is a bad ending that can be unlocked in Purrfect Date by choosing to not help the kitties. You’re Stressing Meowt - Any route can be used for the You’re Stressing Meowt ending, which is a bad ending that can be unlocked in Purrfect Date by using up all four hearts at once. Major Let Down - The Floofy route should be used for the Major Let Down ending, which is a bad ending that can be unlocked in Purrfect Date by choosing the following options: tuck in, be diplomatic, it’s fine. Major Hit - The Floofy route should be used for the Major Hit ending, which is a good ending that can be unlocked in Purrfect Date by choosing the following options: tuck in, stand up, you put me in danger, I love you too. Friction - The Snooty Booty route should be used for the Friction ending, which is a bad ending that can be unlocked in Purrfect Date by choosing the following options: let me help, be accurate, remove varnish. Frisson - The Snooty Booty route should be used for the Frisson ending, which is a good ending that can be unlocked in Purrfect Date by choosing the following options: let me help, flatter her, compromise, I love you too. 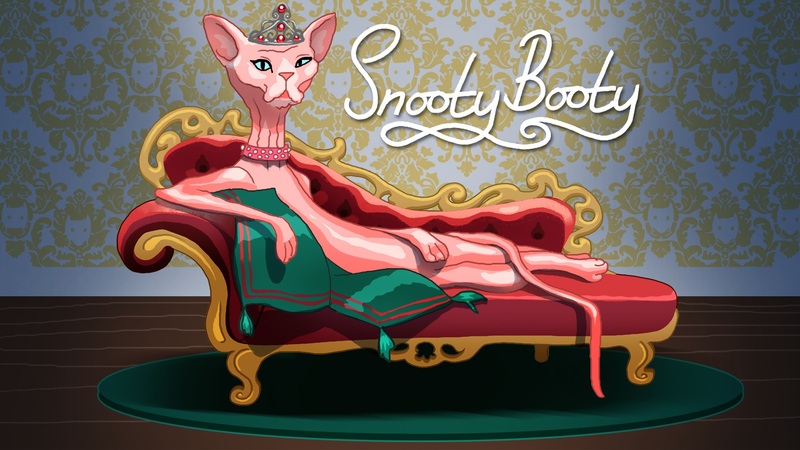 The Friction and Frisson endings can be unlocked through dates with Snooty Booty in Purrfect Date. Single Player - The Kibbles route should be used for the Single Player ending, which is a bad ending that can be unlocked in Purrfect Date by choosing the following options: read Sakuru, lie, have a healthy meal. Player 2 - The Kibbles route should be used for the Player 2 ending, which is a good ending that can be unlocked in Purrfect Date by choosing the following options: read Sakuru, don’t pretend, let’s raid, I have the same feelings. Star Crossed - The Trixie route should be used for the Star Crossed ending, which is a bad ending that can be unlocked in Purrfect Date by choosing the following options: I want to know, bluff, listen to scientific intellect. Written in the Stars - The Trixie route should be used for the Written in the Stars ending, which is a good ending that can be unlocked in Purrfect Date by choosing the following options: I want to know, admit skepticism, follow instinct, take a leap. One Liner - The Ravenpaw route should be used for the One Liner ending, which is a bad ending that can be unlocked in Purrfect Date by choosing the following options: be myself, lighten the mood, coax her. Rhyming Couplet - The Ravenpaw route should be used for the Rhyming Couplet ending, which is a good ending that can be unlocked in Purrfect Date by choosing the following options: be myself, be vulnerable, let her rest, I love you too. The Dry Drunk and Love Drunk endings can be unlocked through dates with McMurphy in Purrfect Date. 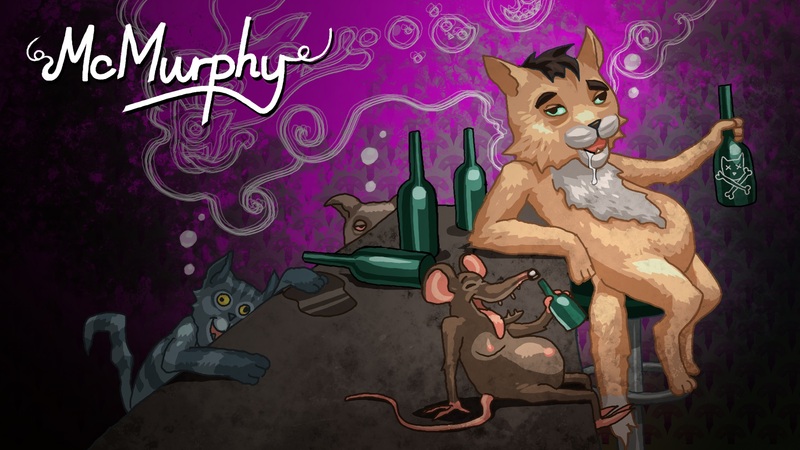 Dry Drunk - The McMurphy route should be used for the Dry Drunk ending, which is a bad ending that can be unlocked in Purrfect Date by choosing the following options: cheers, go home, get serious. Love Drunk - The McMurphy route should be used for the Love Drunk ending, which is a good ending that can be unlocked in Purrfect Date by choosing the following options: cheers, go fishing, let it go, you have my heart. Impurrfect Date - Any route can be used for the Impurrfect Date ending, which is a bad ending that can be unlocked in Purrfect Date by finishing the Research section without finishing the Romance section (can be done if you don’t unlock the last cat in Chapter 6, then complete 3 Research scenes). You’ve Been Sacked - Any route can be used for the You’ve Been Sacked ending, which is a bad ending that can be unlocked in Purrfect Date by failing to finish the final scene of the Research section (can be done by disobeying the Professor in Chapter 3). Everything in its Right Place - Any route can be used for the Everything in its Right Place ending, which is a good ending that can be unlocked in Purrfect Date by having all six people turn into cats. Half Measure - Any route can be used for the Half Measure ending, which is a bad ending that can be unlocked in Purrfect Date by having three people turn into cats and three people killed by Bob. What’s your favorite ending in Purrfect Date? Let us know in the comments below, and be sure to check back for more Purrfect Date guides here at Indie Obscura! By reading through this guide, you should now know how to unlock all 18 endings in Purrfect Date.